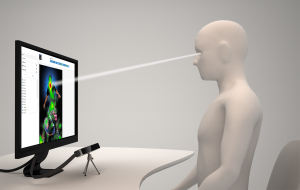 Eye tracking is a technology that consists in calculating the e ye gaze point of a user as he or she looks around. 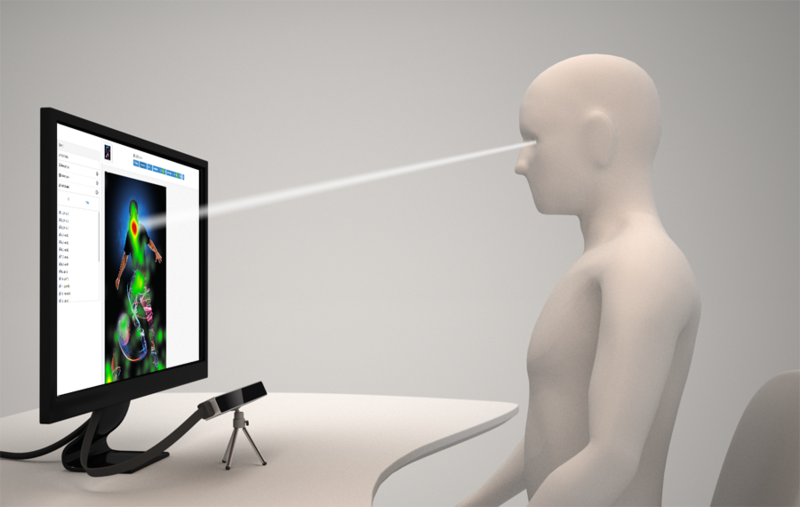 A device equipped with an eye tracker enables users to use their eye gaze as an input modality that can be combined with other input devices like mouse, keyboard, touch and gestures, referred as active applications. The eye gaze coordinates are calculated with respect to a screen the person is looking at, and are represented by a pair of (x, y) coordinates given on the screen coordinate system. The user needs to be located within the Tracker’s trackbox. The trackbox is defined as the volume in space where the user can theoretically be tracked by the system. Do not hesitate contact us at hello@jemchicomac.com and learn how jemchicomac can help you integrating eye-tracking technology into your project.